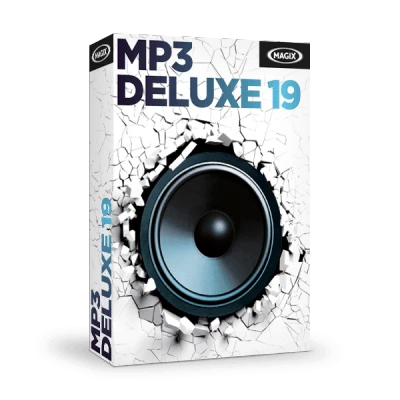 MP3 Deluxe is the all-round solution for your music collection, it's fully compatible with all common devices and features everything you need to manage your music: Import CDs, convert files, or edit ID3 tags. Discover an incredible range of function and flexibility that makes managing your favorite music easier than ever before. Rediscover your music collection: Download and test MP3 Deluxe now absolutely free. Sound-based music recommendations, play, sort, and convert music, or simply tidy up track information using the mouse. Experience a unique combination of unlimited functions that are incredibly easy to use! Find exactly what you want with the lightning fast search and filter functions! Arrange your music according to sound and find tracks, artists and albums easier than ever before. Automatically create playlists and find missing track information. Easily and quickly import your CDs and transfer your entire music collection to the PC – this way, each song, album, and artist is available anywhere! Importing multiple CDs, e.g. for compilations or audio books is a breeze. MP3 deluxe offers a range of functions for music management. Convert the most common audio formats such as WAV or OGG into MP3. The fast MP3 converter converts music in high quality for perfect sound in every situation.